We’ve been taught to prioritize our lives in a non- self care way, stigmatizing the act of self care as a luxury or worse, selfish. But, self care is neither luxurious nor selfish, it’s a fundamental component to our health, just like eating, breathing, and sleeping. 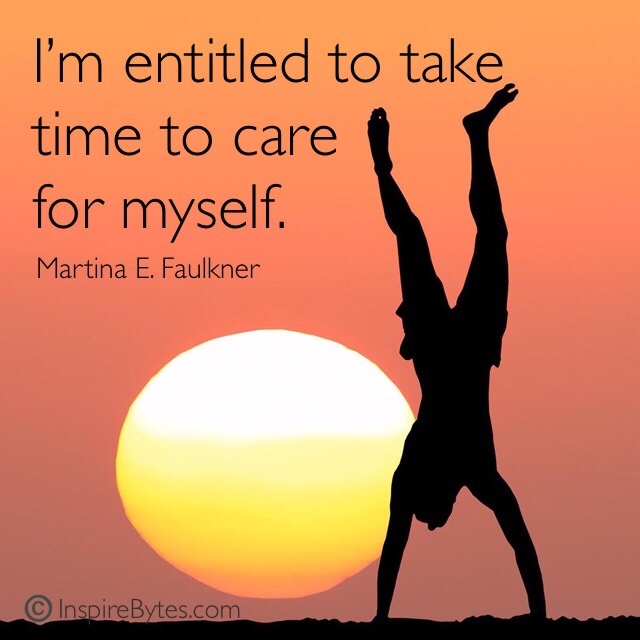 We are entitled to take time to care for ourselves. Entitled. It’s not a privilege nor a gift, it’s a basic human need, and we are allowed to claim it. Even if it’s five minutes a day (which can be hugely beneficial, by the way), we are entitled to take and make time for our health and care. Self care can be easy, simple, and free. So often I hear people say “I don’t have time/money/ability to do that.” But it doesn’t have to be a $500 spa day or even a weekly mani/pedi for it to be effective. In fact some of the most effective self care is done for free in just five minutes a day, like conscious breath, or sipping tea, or calling a friend, or reading. What matters is the consistency and frequency, not the cost or length of time. It can be difficult to make yourself a priority, and that’s ok. If you’re not used to doing it, and you’ve bought into the matrix belief that it’s wrong or shameful in some way to prioritize yourself, making the shift in your thinking can be a challenge, and it takes time. That’s ok. Changing a belief about something is harder than changing a habit; but changing the habit will help you to shift the belief. It’s about taking the first step and following it up repeatedly over time. Soon enough, it will have shifted on its own, and you’ll be well on your way to being a priority in your own life. The bottom line is self care can feel like scaling Mt. Everest because we make it more complicated, time-consuming, and expensive than it has to be. In reality, good self care should feel like breathing – a natural part of your daily life, however you choose to do it. When we look at it like that, it shrinks down to the size of an ant hill. * Excerpted from What now..? by Martina E. Faulkner, LMSW – scheduled for publication in 2019. This entry was posted in Author, blessings, book, faith, grace, gratitude, help, hope, inspiration on 5 July 2016 by Martina. What is it about Grace that we can have a thousand different definitions, from a thousand different people, and yet somehow we can all be saying the same thing? I was startled by her words, because I had felt only gratitude for my experience in the shower. Even then, as it was happening, I felt grateful for the peace it brought me. I think that’s because it was fueled by Grace. Grace transformed my despair into something greater. So, without further ado, for those of you who have not purchased the book yet, I would like to share my Moment of Grace with you here, knowing that there are 364 more stories within its pages that are similar, and yet wholly distinct. 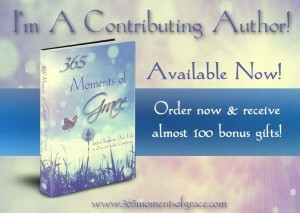 This magical book is filled with over 250 voices sharing their stories of Moments of Grace, all saying something different, and yet, somehow, all saying something similar. Finally, as I geared up for the book’s launch, I tried to describe and define Grace for a friend. 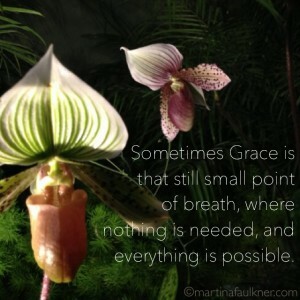 I wrote: Sometimes Grace is that still small point of breath, where nothing is needed and everything is possible. I’d amend it today to say that what’s needed, in fact, is Grace, though it’s rarely ever identified. In our deepest moments of despair we rarely have the ability to ask for what we truly need. And in those moments when Grace is needed most – it always seems to show up. Years ago, as I started my journey through the refiner’s fire, I was brought to my knees at a most inopportune time: I was in the middle of my morning shower. While lathering up my hair, I found myself overwhelmed by grief, pain, and tears. My journey of shedding layers of imperceptible veneers had begun, and it was painful. Unexpectedly, with a mountain of bubbles on my head, I fell to my knees, sobbing. Crumpled on the shower floor, with water pouring over my skin but not cleansing any part of me, I couldn’t utter a word. I silently wailed as my tears mixed with the stream of soap and water from above. I could barely breathe. Immobilized, I watched in awe as my hands reached up. A single word inscribed in the mist was my call for assistance. The effort it took humbled me further. As the water began to cool, with the bubbles all but gone and my shoulders hunched forward in a semi-fetal position, I felt a calm fall over me. My mind began to settle as my heart returned to a steady rhythm. My tears, though still flowing were a gentle trickle instead of a torrent. As I started breathing more deeply and steadily, I noticed my pain had eased. My cry – my plea for help – had resulted in a warm embrace in the most unlikely of places. Mixed with the water from the shower, my tears had become diluted, free to flow out and away from me. I felt held. I still use the shower wall to send messages to what I now refer to as my spiritual team. Whether they are messages of gratitude or renewed requests for assistance, there’s a knowing that comes almost instantly the moment my fingers begin to glide across the steamy glass. P.S. 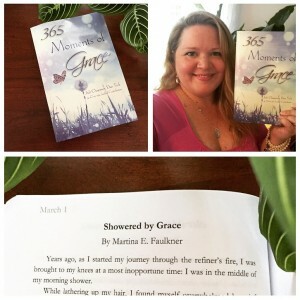 Fore more information on 365 Moments of Grace, or to order your own copy, click here. This entry was posted in book, choice on 16 June 2015 by Martina. It’s been a while – a long while, it seems – since I have shared a weekly InspireByte with you all. I apologize for my absence, but I think you’ll understand why when I tell you what I’ve been doing. So… this month, I published my first book. What if..? 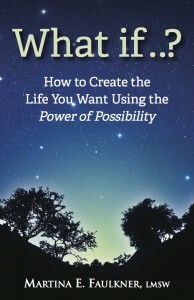 How to Create the Life You Want Using the Power of Possibility is already being read and shared across the USA and overseas. I’m thrilled to report that the initial feedback has been incredibly positive, and I’m LOVING the emails and notes I am receiving about how people are testing out the exercises within the book. It’s truly been heart-warming and soul-expanding! If I haven’t said it enough lately, let me reiterate it here: I LOVE WHAT I DO! 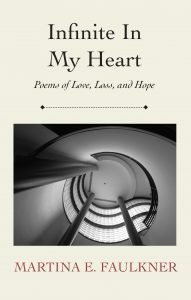 I’m very blessed and grateful to be able to write and help others for a living. The answer is simple: real estate. Emotional and mental real estate, to be exact. You see, we each have a finite (though flexible) amount of emotional and mental real estate in our minds. We are continually moving things around, selling things off, buying new things, and moving other things to storage in order to maintain a healthy balance of emotional and mental real estate. When we get stressed, we have a tendency to move less important items off our to-do lists. This is one way of keeping our real estate in check. Instead of using up the lot line-to-lot line of our real estate, we typically keep a nice moat around our core, in order to maintain that flexibility. This was not something I was able to do over the past couple of months with the publishing of my book. Every single day I was involved in some decision-making or trouble-shooting. I poured my heart and soul into the final product and I absolutely love it! I’m very proud of my little book, and so grateful that I get to share it with the world. I also realize that in order for me to have accomplished this, I needed to borrow on my available emotional and mental real estate. So, for a period of time, my to-do lists changed, and I lived from edge-to-edge, with little flexibility or room for anything additional. The first week in which I chose to forgo the blog, I felt guilty and almost sad. I convinced myself that it would be “only one” week off. But then it became two, then three, and then I stopped counting. I realized somewhere between weeks two and three that this was about my emotional and mental real estate, and I gave myself permission to step away from anything that was not related to publishing, or maintaining my physical well-being. And it felt good. It’s remarkable how your life can change when you take pause, re-assess, and allow yourself to choose something different, without guilt or judgment. As one friend said to me, very astutely, “the writing will always be there.” Indeed. So, with that, I am sharing with you the lesson I learned from maxing out my internal real estate, and it was simply this: it’s okay. It’s okay to feel maxed out and re-jigger your life accordingly. It’s okay to let some things slide while other things are taking precedence, and most importantly, it’s okay to not feel any guilt about it at all. Emotional and mental real estate are very real things that require management and maintenance – how you choose to do that on a daily basis is up to you.